I was born and raised in Newark, New Jersey, and attended Carnegie Mellon University where I received my BFA degree in 1971. After living in Philadelphia for about 5 years, I returned to Pittsburgh in late 1977 and has made Southwestern Pennsylvania my home ever since. During the 1980’s I established a successful commercial screen printing business. 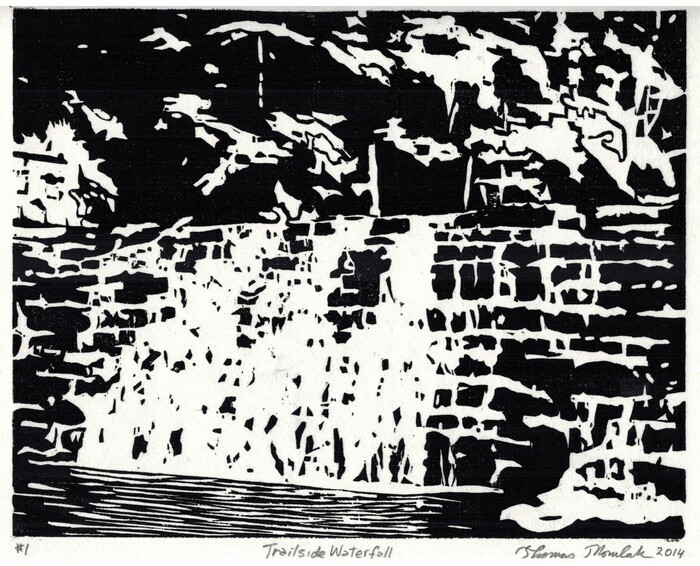 I began my active career as an exhibiting artist printmaker during the early 1990’s. My work has been exhibited throughout the Pittsburgh area as well as in selected national shows at well respected galleries, museums, universities and art centers. 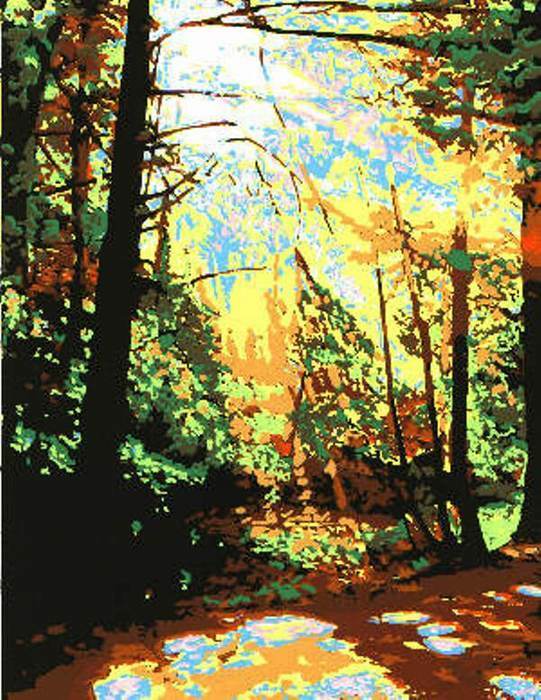 I have taught printmaking at Pittsburgh Center for the Arts for over 20 years and have also taught at Seton Hill University, Carnegie Mellon University Pre-College program, Carnegie Museum of Art and have been a guest instructor and lecturer at other schools and local art groups. 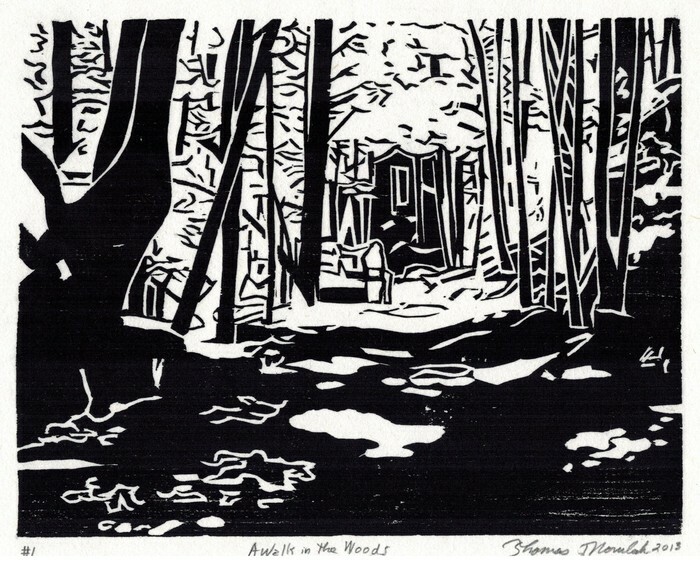 These are woodcuts. Cherry wood block is carved and printed by hand. Images depict places I've been. Original hand printed limited edition screen prints. Hand printed limited edition screenprint. 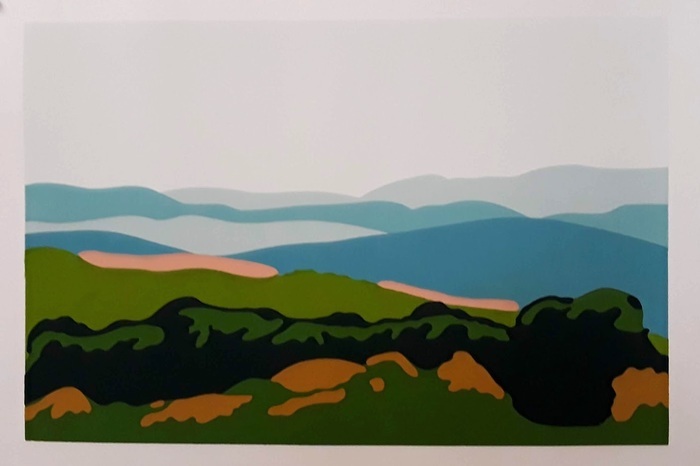 WEST VIRGINIA VISTA original hand printed silkscreen serigraph print in 9 colors. 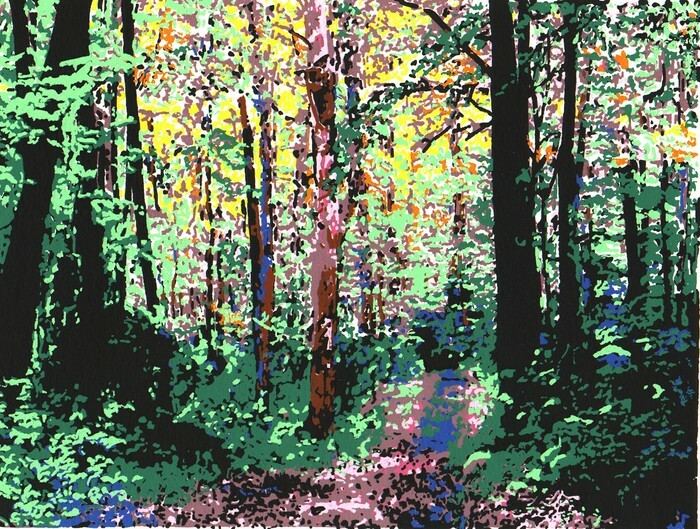 Image measures approximately 15 inches x 20 inches and depicts a view of the West Virginia Mountains as viewed from a lookout in Cacapon State Park. 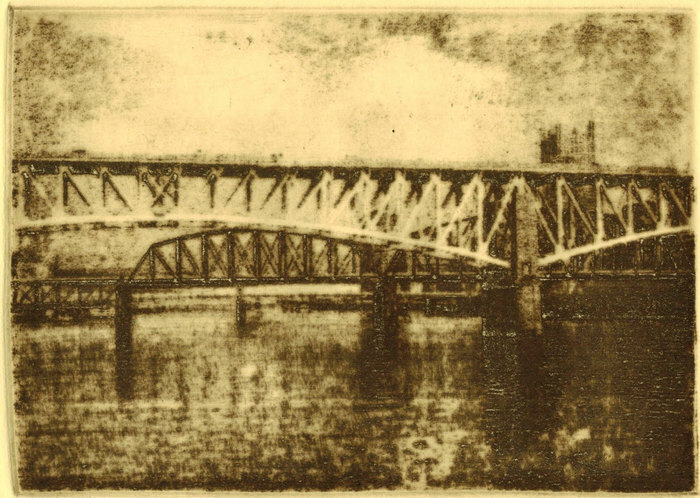 Hand printed etchings using zinc or copper plates.